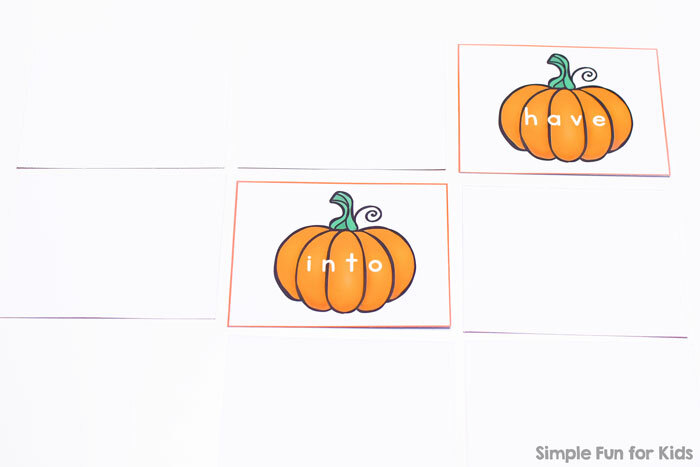 One of the best sellers in my store is a set of Pre-Primer Sight Word Pumpkins. Many readers use them as an easy way to make learning sight words more fun for their kids and students. I’ve been offering the pre-primer version for a couple of years now, always with plans of making versions for the other sight word sets. Thanks to my loyal reader Anne, I’ve finally pushed the plans to the top of my list. 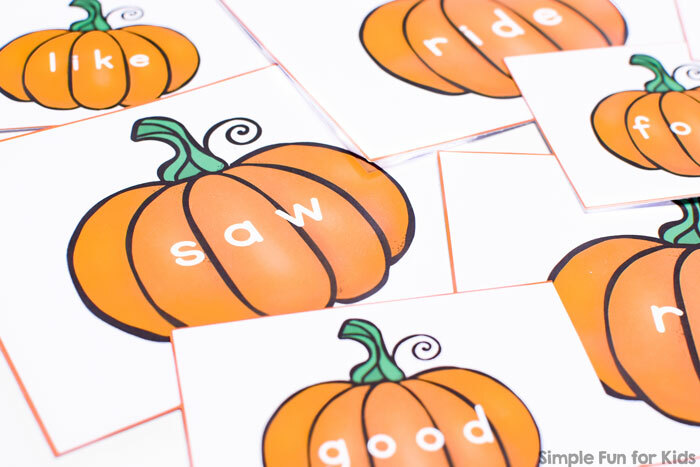 Your kids can now enjoy the Primer Sight Word Pumpkins! Laminating pouches and laminator (optional). 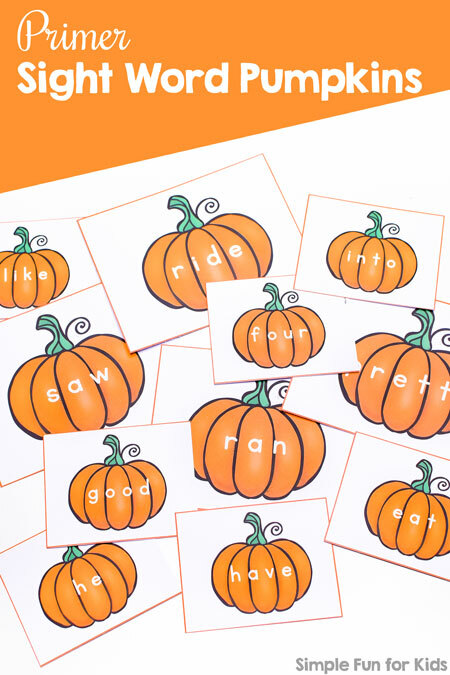 The file includes all 52 Primer Dolch Sight Words on 52 pumpkin cards. Each page has four pumpkin cards on it for a big size for little hands. Alternatively, you can print two or four pages to a sheet of paper to make smaller cards for games or sensory bins. Download your Printable Right Now!